Have you just started fishing and finding it difficult to manipulate a fly to exactly tempt the fish? 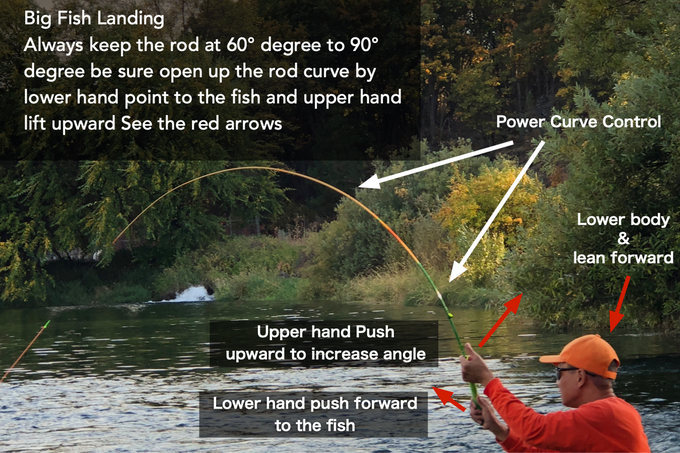 Don’t get frustrated because here’s a tool exactly designed for anglers like you – to make fly fishing super easy! This is Tanuki Ninja-Tenkara Fly Fishing Rod! Tenkara rod makes fly fishing more fun and more effective in catching fish! This is an extremely high-quality, carefully crafted fly fishing rod built with anglers’ joy of catching fish easily and effectively in mind. This will offer you just the experience you always want i.e. to operate your fly so as to make fish fall for it and bite it. Tanuki Ninja has been designed on the basis of the Japanese Tenkara fishing style which is originally a Japanese style being practiced since centuries by commercial fishermen. It is the easiest way of fly fishing because it needs only a line, a rod and a fly, while reel is not required. You’ll realize that it’s so much easy to learn fly fishing without a reel for learners, while it offers the ability to focus on fishing to experienced fly fishermen. Tanuki Ninja has been crafted to be extremely flexible and sensitive because of which you can cast a very fine line effortlessly and can detect a fish bite even in deep water. Thus you can cast even a very fine line very easily. Moreover the rod is extremely light, weighing only about 63 grams or 2.2 ounces, perhaps the lightest Tenkara rod of the world. Who has Designed Tanuki Ninja? Tanuki Ninja has been designed by Luong Tam who has a Master Degree in Architecture from UCB and has been fly fishing since the 90s. Every year, he attends Tenkara schools run by Japanese masters and develops fly fishing methods and simpler, lighter and more efficient Tenkara rods. He developed his first rod in 2014 since when he has been working closely with rod manufacturing engineers and other associates. So, he has great knowledge of the manufacturing process and use of materials. Therefore he can efficiently dictate the quality of his rods and delivery schedule. Tanuki Ninja has been launched on a Kickstarter crowdfunding campaign by Tenkara Tanuki, a well-known US-based company that designs and manufactures superb quality Tenkara rods. People using Tanuki Ninja are amazed with its efficiency and responding overwhelmingly to the campaign. Visit the Kickstarter page to get full instructions and videos on how to use Tanuki Ninja and you’ll be amazed by the ease with which the rod can be used. Happy fly fishing with Tanuki Ninja!